Join us on March 24th, for our annual Spring Purrlesque! 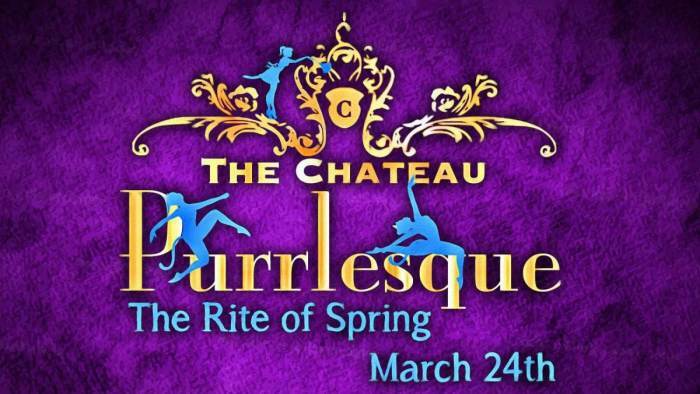 The Chateau presents: The Rite Of Spring Doors open at 7pm. Costumes: Feel free to dress up in Spring themed outfits, wear your ears and tails! There will be a model search after the show! !